Are you currently working on an organic/biodynamic farm or market garden? Perhaps you have done a level 3 course in the past? Do you feel you could improve on your skills and knowledge before taking on a more responsible position? Warmonderhof College is now offering a part-time level 4 course in biodynamic farm management for people who are currently in work. You may be employed, self-employed or working as a volunteer, and if you know that you would benefit from higher-level skills such as business management, human resource management, improving your technical skills regarding crops, livestock and machinery, improving your organisational skills, as well as diving deeper into the biodynamic aspects of the farm – this could be just the course for you. The Warmonderhof team consists of eight qualified and experienced teachers, each one an expert in their particular field. Warmonderhof College is located at the heart of an 80 hectare mixed biodynamic farm which is run by 3 passionate entrepreneurs: an arable farmer, a dairy farmer and a vegetable grower. The farm has an extensive crop rotation which includes 35 hectares of field scale vegetables, while the dairy herd consists of 45 of traditional Dutch Blaarkop cattle with their young. There is also a dairy processing unit where students produce cheese and yoghurt under supervision of an experienced cheese maker. The vegetable operation at Warmonderhof covers 2 hectares of salad crops and boasts a 1000 square metre state-of-the-art glasshouse. Until very recently all courses at Warmonderhof were given in the Dutch language only, severely restricting their accessibility. The new International Course in Biodynamic Farm Management is based on a British BTEC curriculum and will be taught entirely in English. Now the unique learning experience that Warmonderhof can offer is available to participants from all countries of the European Union. The course will be taught during 10 sessions of a week each, spread over a two-year period. Participants from all corners of Europe meet in Dronten to learn the intricate skills of biodynamic farm management, while simultaneously developing an international network of biodynamic friends and colleagues. The course is offered as a European (EQF) level 4 programme; in Britain this is known as QCF level 3. During an EQF level 2 course people learn the basic activities of a profession; EQF level 3 leads to a qualification as a skilled worker who is able to perform all practical tasks independently. EQF level 4 is a programme for people who are responsible for medium en long-term planning, managing other people, marketing and business aspects, and optimising and improving the enterpise. Possible jobs graduates with a level 4 qualification can take on are: farm manager, vegetable grower, organic inspector, city farm project manager and entrepreneur. 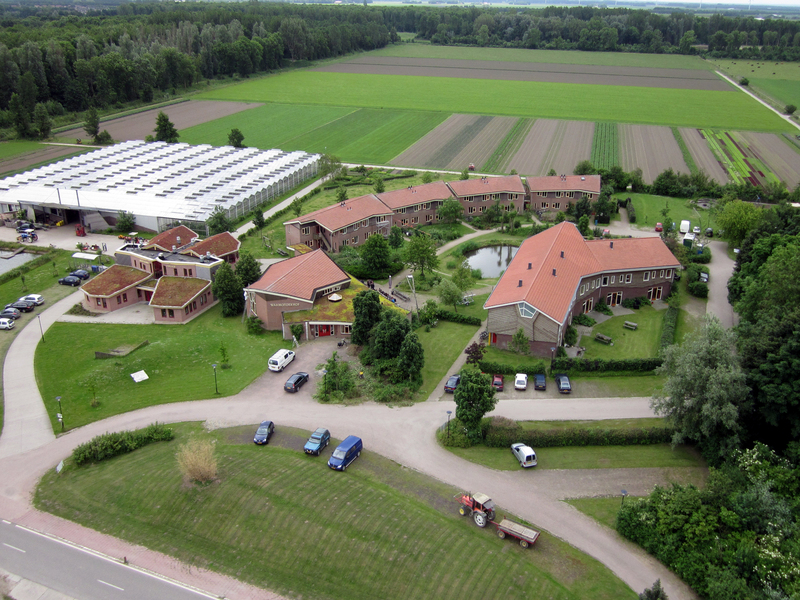 Studying at Warmonderhof College is more than just attending a course: the college and the farm are the focal point of the biodynamic movement in the Netherlands, with the Dutch Biodynamic Association having their headquarters at the school, and regular conferences, short courses, festivals and evening lectures filling the jam-packed agenda. The motto of the college is “Working – Living – Learning” and this applies not only to the students on the full-time training. Participants on the International Course in Biodynamic Farm Management are being immersed in an holistic learning experience, where you may be spending some time in the classroom before heading off to the greenhouse while finishing the day in the cow barn. Participative learning is at the heart of the educational philosophy of Warmonderhof – where students are required to use their heads, hearts and hands to master the art of biodynamic farm management. The curriculum is based on a modular programme consisting of a balanced mixture of agricultural, business, anthroposophical and technical subjects. The course consists of 13 units which are assessed through projects and assignments that can be completed by the participants while working on their placement farm or market garden. The delivery of the course is supported by a rich Virtual Learning Environment, where students can download their assessments and any supporting literature. Teachers are available for support during the periods between the residential college weeks, to answer any questions or conduct one-to-one tutorials via Skype. The costs for the International Course in Biodynamic Farm Management are very reasonable at €1730 per year which includes tuition, accommodation and meals. The only extra cost is the money spent on traveling to the college five times per year. Warmonderhof College is located on one of the main railway lines from Amsterdam, and within 75 minutes you can travel by train from Amsterdam Schiphol Airport to Dronten. Accommodation will be provided in one of the college’s student houses at the campus right in the middle of the 80 hectare biodynamic farm. Warmonderhof College is now recruiting for the September 2013 intake. People who are currently working (employed or as volunteer) on organic and biodynamic farms and who would like to improve their skills, knowledge and career opportunities are the main target group. Don’t miss this opportunity to obtain an accredited European Level 4 qualification in Biodynamic Farm Management, and contact the course leader for more information or to enrol. The number of places on this course is strictly limited to 20 participants.